After operating for over 100 years (making it the most historic course in the Quad Cities and one of the oldest in the nation) as a private country club, the US Army's Family and Morale, Welfare and Recreation Directorate assumed control and ownership of the course in late 2010. As a result there have been many changes and improvements including the opening of the course to the general public for the first time ever. Access to Arsenal Island is as simple as presenting the gate guards with your driver's license or other state issued identification that can be scanned. That's it, you'll be on the tee box before you know it. 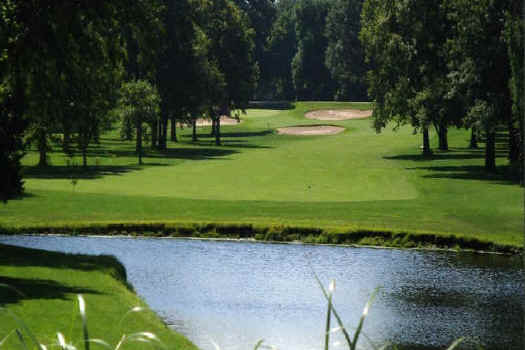 Majestic tree lined, bent grass fairways that ramble along the banks of the mighty Mississippi River make this a golfing experience you won't soon forget so call us today to make your tee time! After your round we invite you to relax in the clubhouse and enjoy a delicious meal prepared by our highly trained chef or perhaps a refreshing drink from the bar. Tee Times: May be made up to 7 days in advance! Best Thing: A beautiful, well-established tree-lined course right on the Mississippi River!